The fairylight circlet? Literally a 30 second job! With my hair tied in a side-plait, I wove a copper LED fairylight chain (from Kmart for less than $10) up through the braid and then around my head as a circlet. The battery pack/switch was carefully hidden underneath the sari draped over my shoulder (… at this point I will just say that being small-busted and having poor-fitting bras worked to my advantage lol) Unfortunately I was enjoying the party too much to get some good full shots to share with you here, but I will assure you that I received many compliments for both the sparkling sari and the dazzling lights adorning my head. Last night was also my first time trying henna! 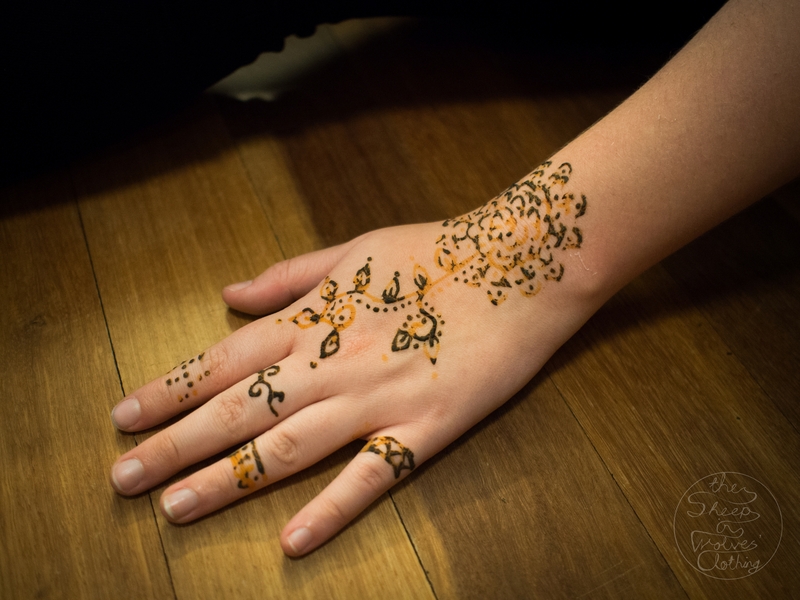 Henna is a paste that comes in tubes; the technique for applying it to the skin is much like using a piping bag. … this will gradually darken over the next few hours. 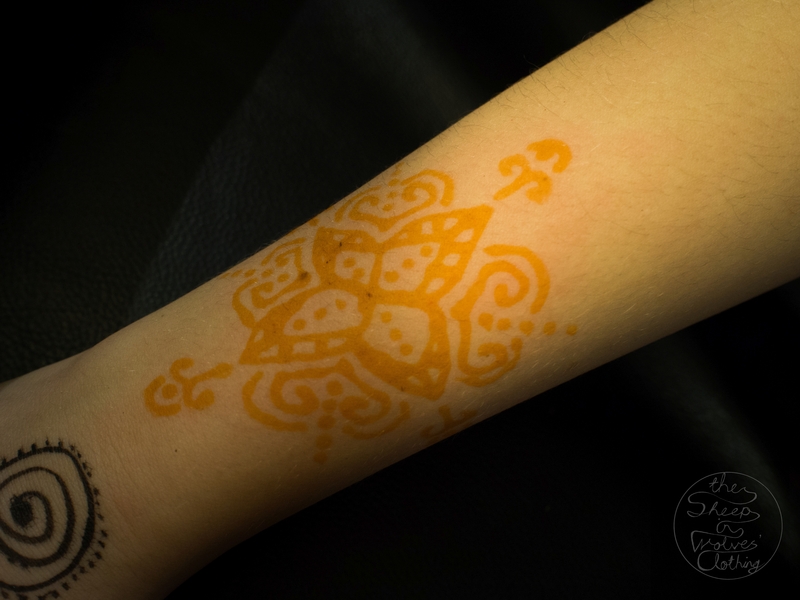 The following picture is my own hand (previous the red background, wet-paste photo), taken the next morning when the orange henna stain had become more brown. I had a lot of fun doing this, and took to it surprisingly well considering I am quite inept with a piping bag! When doing your own body (e.g. 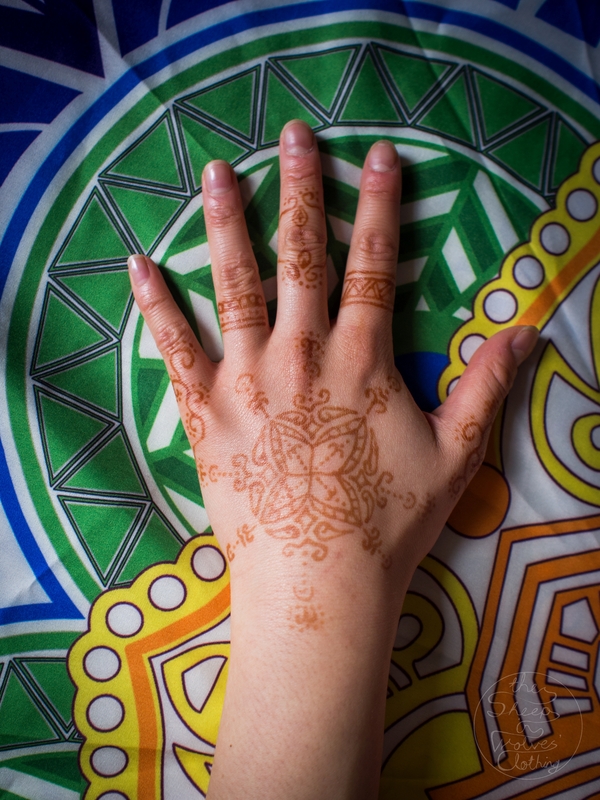 I drew on my left hand using my right), make sure to use a fresh tube of henna, as it can be quite tough to maintain constant pressure with one hand. 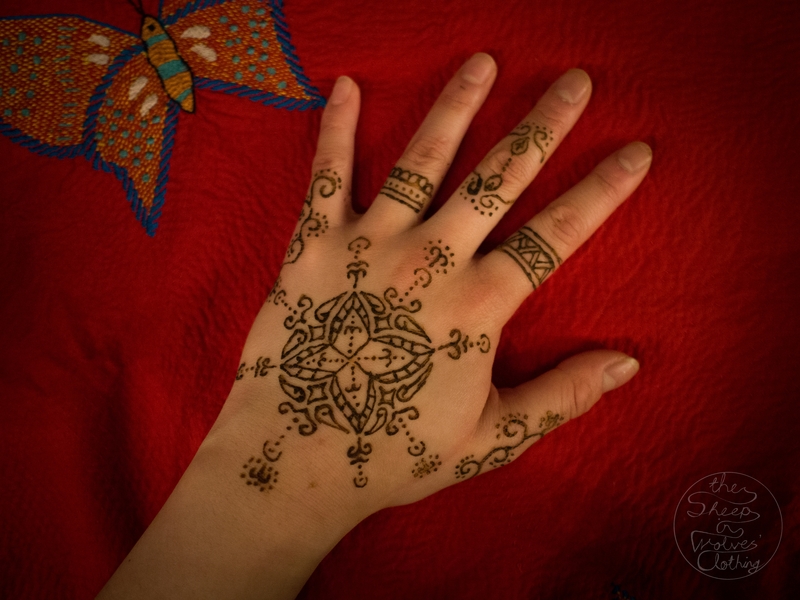 The longevity and colour of henna depends on the quality of the henna used. Some tips to preserve it? Pat dry when washing hands (instead of rubbing with a towel) and avoid exfoliating. Anyway, that’s that! 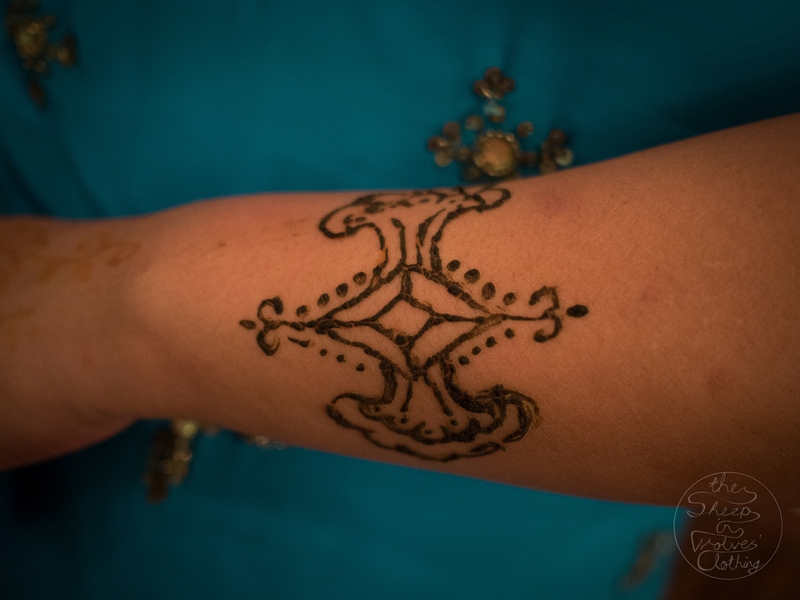 Apologies for the poverty of headdress photos; I hadn’t originally intended to blog about the night until I saw that my lovely hosts had provided henna! Next time I will be more prepared, promise!